To mark 10 years since the 26/11 terror attacks in Mumbai, The Indian Express today hosted the third edition of 26/11 Stories of Strength, an initiative to honour survivors and their families and to recount their stories of resilience. Asserting that India has never attacked a country as it follows the path of truth, Maharashtra Chief Minister Devendra Fadnavis on Monday urged the international community to follow a zero-tolerance policy towards the menace of terrorism. “We all know 10 years ago an attack was carried out on humanity, an attack where the targets chosen was to defeat the international community as well as India. We are on the path of truth. India has never attacked a country because it follows a path of truth. We have increased surveillance in Mumbai to thwart such dastardly acts in the future,” CM Fadnavis said during the third edition of ’26/11 Stories of Strength’, which was held at the Gateway of India in Mumbai. Flanked by CM Fadnavis and a bevy of other politicians, Union Minister Piyush Goyal hailed the resilience of Mumbai in the face of grief and loss. “The 26/11 attack was not just an attack on Mumbai or India, but an attempt to challenge all of humanity. The way in which Mumbaikars have dealt with this pain has given strength and courage to every other Indian,” Goyal said, maintaining that having the resolve to fight the challenges of terrorism, poverty and disunity will leave behind a brighter future for posterity. “This resolve will be a resolve for each one of us individually, but will be successful only when all of us work together towards making India, once again, the greatest country on Earth,” he added. 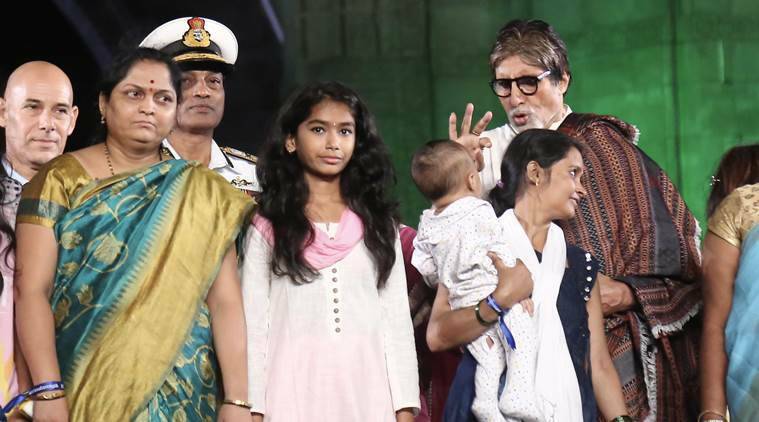 To mark 10 years since the 26/11 terror attacks in Mumbai, The Indian Express Monday hosted the third edition of 26/11 Stories of Strength, an initiative to honour survivors and their families and to recount their stories of resilience. On November 26, 2008, 10 Pakistani terrorists had arrived in Mumbai by the sea route and opened fire indiscriminately, killing 166 people, including 18 security personnel, and injuring several others, besides damaging property worth crores of rupees. Nine of the terrorists were killed, while one — Ajmal Kasab — was captured alive and later, hanged to death in 2012. “Our oneness, our unity, our singularity is not limited to fighting terror and anti-social ideologies. Our singularity is too vast to be shaped by limited horizons. Our solidarity is too strong to be broken by cowards and parasites. We must define ourselves not by what we are against, but by what we are for, and what can we be for, if we aren’t for each other!,” the legendary actor concluded. Anant Goenka, Executive Director of Indian Express group, said events such as 26/11 has set off a dialogue between humanist and extremist inside each of us. “And it’s not difficult for the extremist to win, because when innocents die, extreme thoughts are easily rationalized,” he said. “It’ll be a shame if the Indian millennial turns a blind eye to religion because then it leaves the battleground of religion to those who weaponise it — that is, the extremists. And so today, MORE THAN EVER, we should not view religion with apathy or disdain. Instead, it’s up to each one of us to find meaning in ancient texts and philosophy, rather than judge religion based on the most twisted interpretations that some have adopted,” he said. Since 2016, The Indian Express 26/11 Stories of Strength project has sought to give voice to the inspiring stories of over 70 survivors, who have been interviewed by The Indian Express’s Mumbai bureau. Among those who share their stories of overcoming anger and fear and inspiring courage at the Stories of Strength event were Mumbai Police Constable Arun Jadhav, slain NSG Commando Major Sandeep Unnikrishnan’s father K Unnikrishnan, and Shruti Kamble, whose husband was fatally wounded while helping guests to safety at the Taj Mahal Hotel, where he was a staffer. 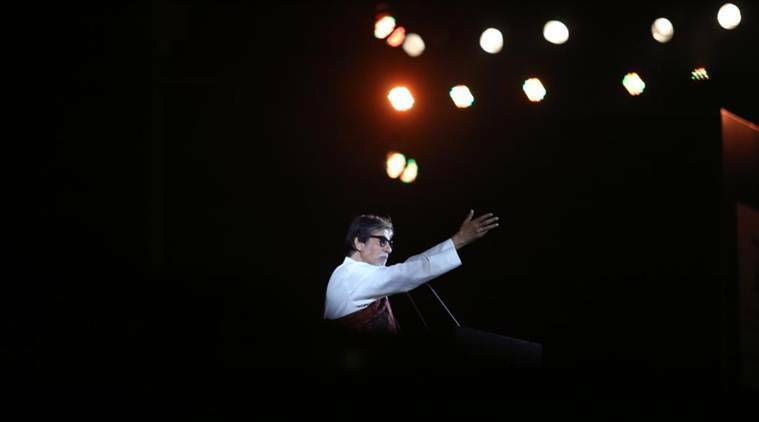 Key performers at the memorial event were Amitabh Bachchan, Javed Akhtar, Kaushiki Chakravarty, Rakesh Chaurasia, Mayuri Upadhya, Merlin D’souza, Harshdeep Kaur, Neeti Mohan, Rahul Deshpande, Mahesh Kale, Javed Ali, Ani Choying Drolma, Shivam Mahadevan, Police Band and the Navy Band.